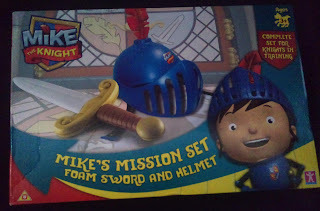 Ever since we visited Camelot Theme park last year and watched the Jousting My 4 year old has been fascinated by medieval knights, So as you can imagine when Mike the Knight started on Cbeebies he very soon became a huge fan! The animated show follows knight in training, Mike, on his adventures around the Kingdom of Glendragon. It really is a lovely show that not only entertains with stories of castles and dragons but also teaches pre-schoolers values such as responsibility and the importance of doing things right, even if they don't succeed at first. 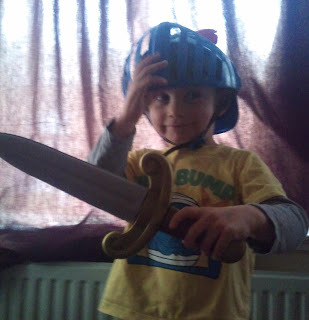 A catchphrase of the show that Ben regularly quotes is 'Be a knight, Do it right!' 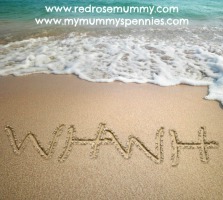 I think that's a lovely sentiment! Therefore I was delighted to hear that character online were launching a new toy range to accompany the show. When we were offered the chance to review one of the products from this range before they were available to buy in the shops I just couldn't resist! 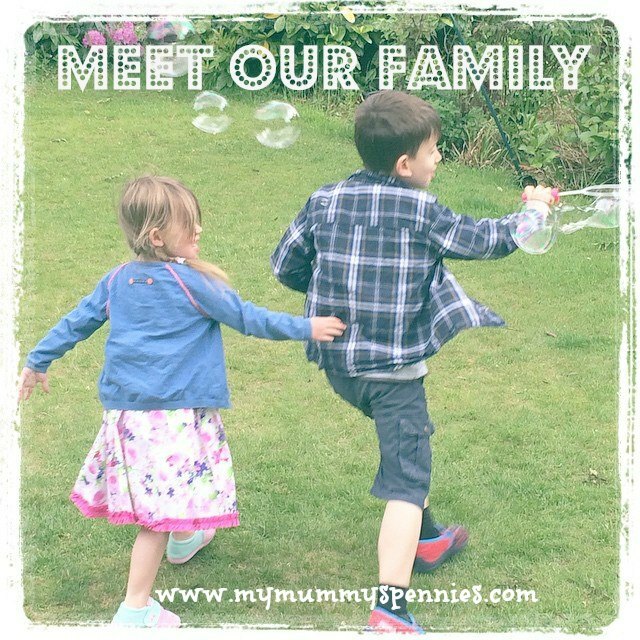 The Range includes a variety of play figures, play sets and accessories, as well as plush and role play toys. 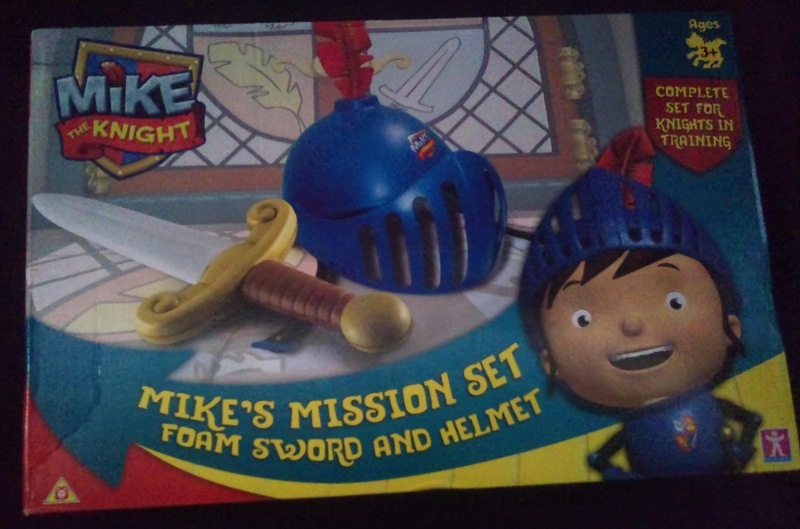 Ben was sent 'Mike's Mission Set' from the role play collection which consists of a blue plastic helmet with detachable feather, adjustable visor and chin strap and comes with a high density foam sword. 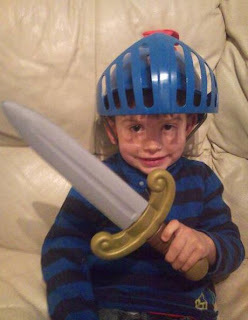 Since his fascination with all things medieval Ben has had a few toys swords but to be honest I've never really been happy with their quality. (The foam ones tend to be flimsy and fall apart after being played with just a few times and the plastic ones can been poorly made and one has actually snapped while being played with leaving a rather dangerous exposed edge.) However as soon as this one came out of it's packaging I was impressed. The attention to detail is great and it really doesn't look or feel like it is made from foam, while still being soft enough to be safe for young children. The helmet is made from sturdy plastic with a movable visor that Ben loved and an easy to adjust chin strap. 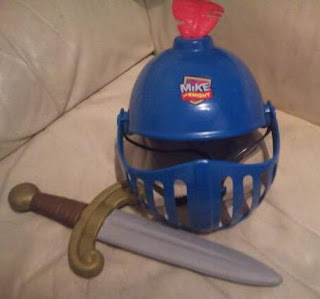 There is a red solid plastic feather that attached into the top of the helmet and it has the 'mike the knight 'logo on the front. There are no rough edges and again you can see that this is very well made. Also available in the range launching this weekend are the Glendragon Arena - for Mike's jousting competitions, Hairy Harry's Horse Stop - for Mike to take Galahad to the Viking Boat - with unique multi-oar rowing action and the Deluxe Glendragon Playset - A two tiered tower with hidden treasure features! 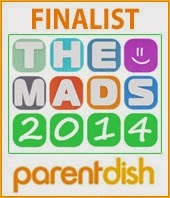 We were sent this item to review, but were not paid to write this post, all opinions are own own.